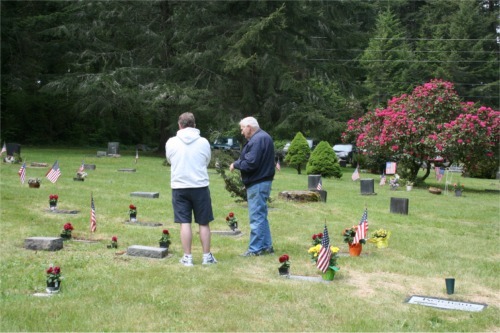 The Fox Island Cemetery is located in the 600 block of Island Blvd, Fox Island, WA. On 6th Ave FI, just beyond Hyak Dr FI, near the curve, on the left (east side). Many war veterans are buried there, as well as Fox Island's early pioneers, and Washington's Governor Dixy Lee Ray. 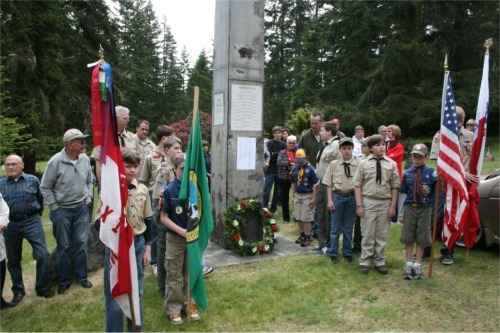 Each year the Boy Scouts and Cub Scouts of Fox Island gather to honor Fox Island's veterans by performing a flag ceremony on Memorial Day. A reading of the names of Fox Island's veterans, dating back to the civil war, follows the raising of the flag.